Exactly one year ago today we celebrated Easter in the hospital. 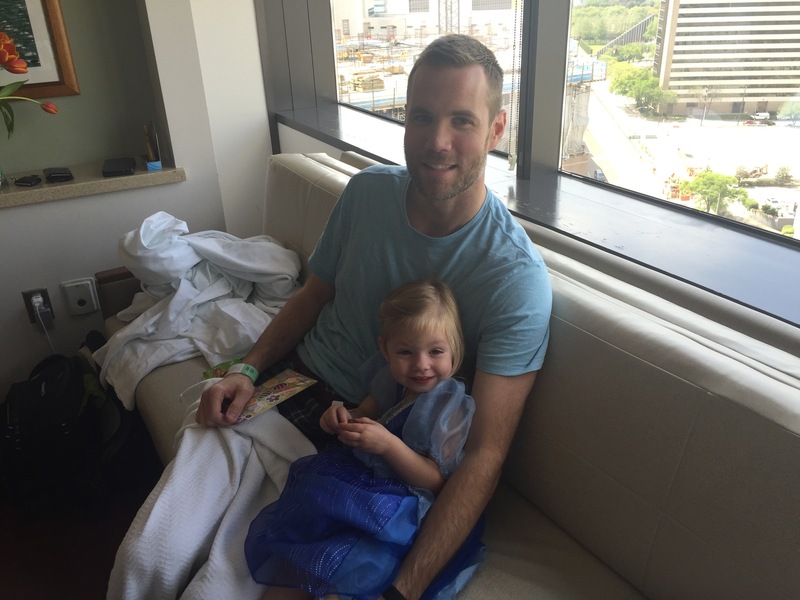 Spring had sprung and Campbell bounced into the hospital room wearing a Cinderella dress and looking forward to a lunch date with Daddy at McDonald’s. Looking back it seems so strange to think of that as happy and hopeful day, but that’s how I remember it. Even with all that was happening, we were 48 hours out from a successful laser ablation surgery for TTTS and our twin girls were responding well to the procedure. Campbell was excited for stickers and a chocolate bunny, excited to become a big sister, and we were all so SURE that the scariest part was behind us. I honestly sometimes can’t believe everything that happened over the month that followed, or that a full year has already gone by since it all began. It seems like a story I heard about someone else, not like something we actually lived through ourselves. There’s a cautiousness I carry with me now that I didn’t use to have, and my optimism has definitely taken a hit…but overall I’m just really grateful to have these little memories to remind me of the happy moments we got to experience with our girls, and how really great it felt/feels to be hopeful.